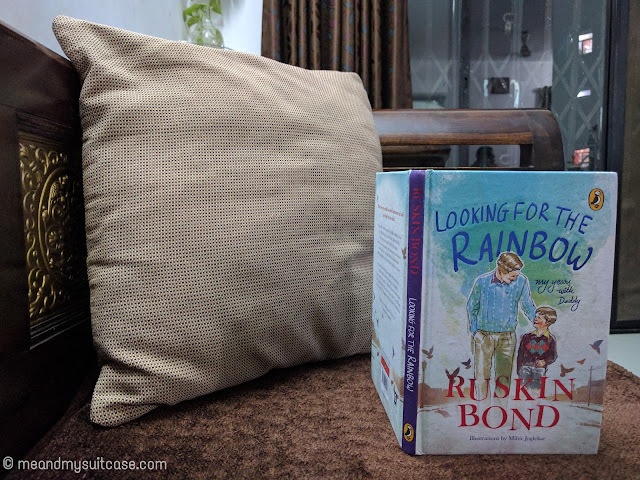 On his 83rd birthday, its a memoir by Ruskin Bond of the two years he spent with his father and it is an emotional read. As he said in his book, When we are small we need someone to hold our hand in the dark. So true. As kids we are so dependent & we do look upon our parents to hold us, to save us from dark. At the age of eight, Ruskin had escaped from his jail like boarding school in hills to his father in Delhi. His parents were separated and he wanted to live with his father. In this book he has captured the very experience of staying and living with his Daddy (as he called him), his one year of no schooling and time he spent with books, cinema, learning to cook, making some new friends and working for his Daddy or rather assisting him in stamp collection. I hated how the story turns out to be tragic and ends little abruptly. I just hope that some day he gets his Daddy's stamp collection and all those letters. Its Time! Ruskin Bond’s first novel, The Room on the Roof, written when he was seventeen, received the John Llewellyn Rhys Memorial Prize in 1957. Since then he has written a number of novellas, essays, poems and children’s books, many of which have been published by Penguin. He has also written over 500 short stories and articles that have appeared in magazines and anthologies. He received the Sahitya Akademi Award in 1993, the Padma Shri in 1999 and the Padma Bhushan in 2014. Ruskin Bond was born in Kasauli, Himachal Pradesh, and grew up in Jamnagar, Dehradun, New Delhi and Simla. As a young man, he spent four years in the Channel Islands and London. He returned to India in 1955. He now lives in Landour, Mussoorie, with his adopted family. I loved it but with a disappointment in the end, as I have said earlier.